Choose style without compromising performance. 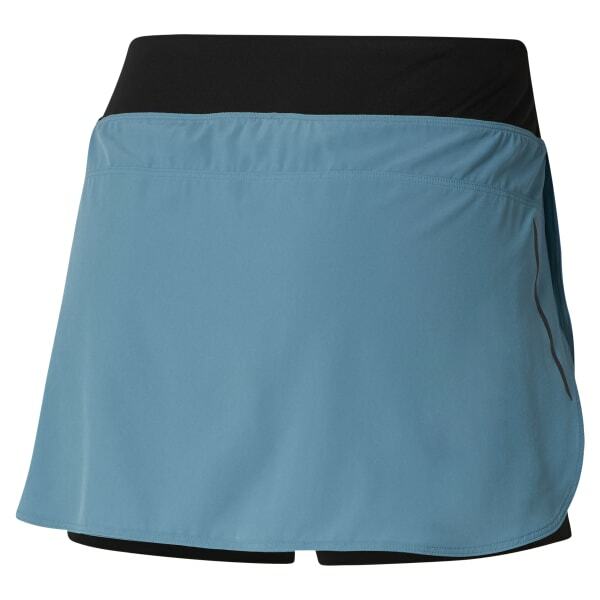 This women's two-in-one running skirt features a stretchy, slim-fitting skirt layered on top of compression fit shorts. Speedwick fabric helps move sweat away from the skin. A knit elastic waist keeps this skirt in place, while an inner pocket keeps small necessities close.